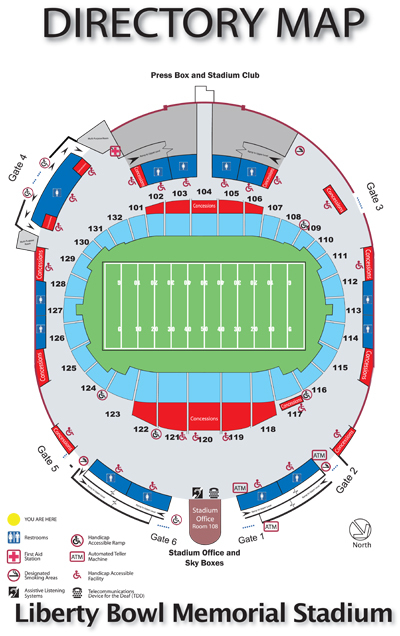 For those patrons using GPS systems, the official address of the Liberty Bowl Memorial Stadium is 335 South Hollywood, Memphis, TN 38104, but please be advised that if you don’t have a season parking pass you cannot use access locations along Hollywood and must use Access 10 on East Parkway or Access 11 on Southern Avenue. From I-240, take Airways and enter parking at Access 10. From I-55 south, take I-55 to I-240 east (towards Nashville), exit on Airways northbound, proceed to Access 10 on Parkway(Airways). From the North, take I-240 or I-40 to Sam Cooper Blvd., continue west on Sam Cooper to East Parkway, turn left (south) on East Parkway, proceed south on East Parkway past Central to Access 10. From I-40 (Miss. 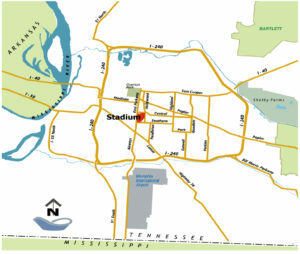 River Bridge), take I-240 S to Madison exit, go east (turn left) on Madison to East Parkway, turn right (south) on East Parkway, turn left (East) on /Central and proceed to Access 7. From Downtown/Midtown, take Lamar (Crump) eastbound to Southern, turn left onto Southern, proceed to parking access 11. From the East, take I-240 or I-40 to Sam Cooper Blvd., continue west on Sam Cooper to East Parkway, turn left (south) on East Parkway, proceed south on East Parkway past Central to Access 10. From the East Memphis hotels take Poplar to Hollywood, turn left (south) on Hollywood to Central, turn right (West) on Central to Access 6 or 7. From the southeast (Germantown, Collierville) take Park Avenue to Highland, turn right (North on Highland), turn left (West) on Southern, proceed to parking Access 11. 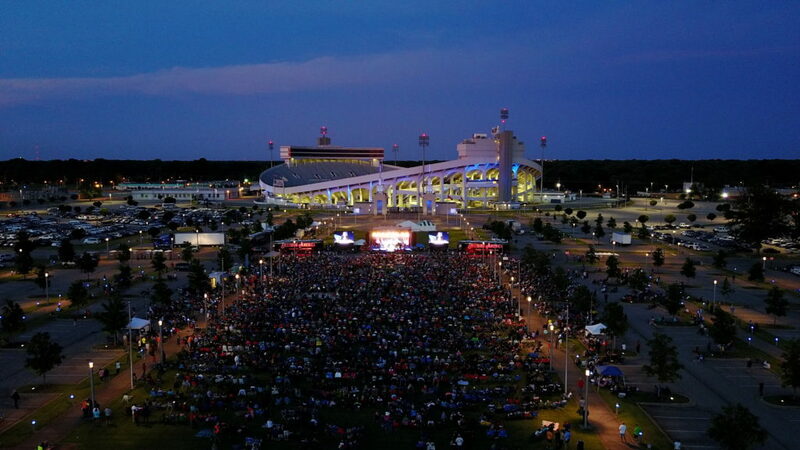 More than 8,000 parking spaces are located on the Fairgrounds Property. These are located in various lots on property, accessed from primary Access Points on Central Avenue, South Hollywood Street, East Parkway and Southern Avenue. 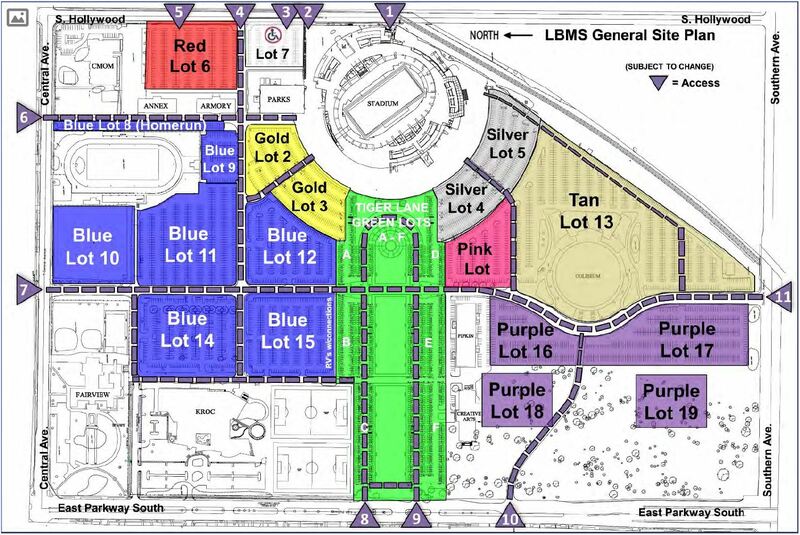 LBMS operates all event parking and Stadium management reserves the rights to determine parking rates. 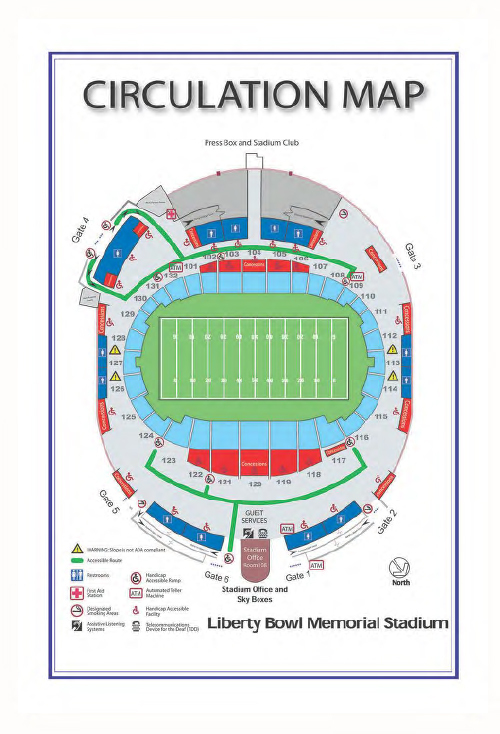 Parking will be provided in areas designated by Stadium management. 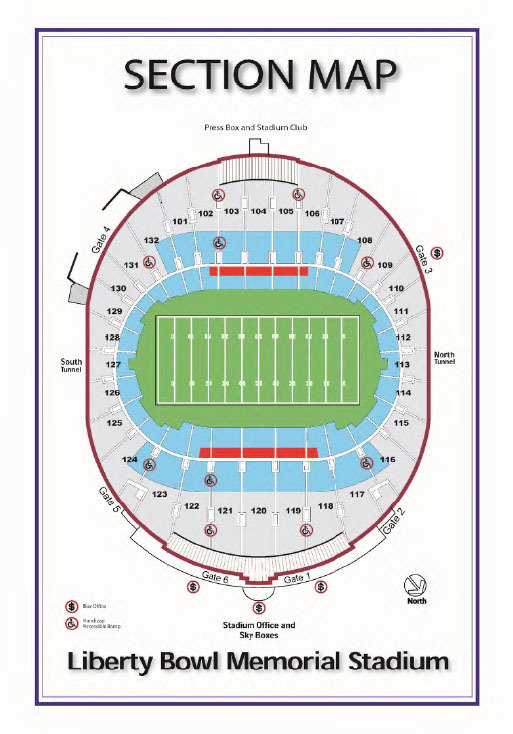 Location will be determined on show requirements for parking and staging of tour vehicles and equipment. Please refer to the Parking Map for more information.